Our organization is topmost provider of Road Safety Pole to our clients. It is uniquely designed and is important for road safety solutions. It is used for segregation of roadways and for indication of certain areas within complex. For its production, experts have used standard material which they have procured from trusted industry vendors. Different material has been used for its production by experts. Banking on our team of quality oriented professionals, we are offering Road Safety Tape to our clients. 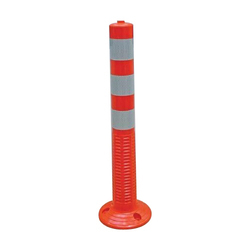 Offered in different combinations of colors, this product is vital to safety of roads. It has been fabricated from high grade material which experts have sourced from trusted vendors of industry. 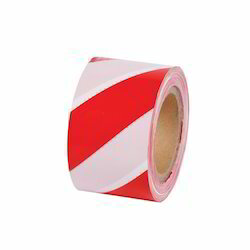 This Road Safety Tape is offered in standard and customized options to our clients. Most importantly, it is delivered within stipulated time frame. 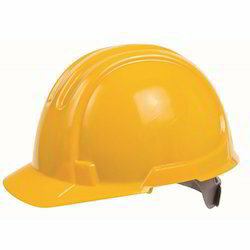 Our organization is highly trusted in offering Safety Helmet to our clients. Offered range has been produced giving full priority to safety of an individual or worker. It is completely protective and has hard texture which provides full protection to an individual. It is broadly used in industries comprising engineering, mining, construction and many other related industries. Experts assure timely delivery of this. Looking for Traffic Safety Equipment ?